Every bundle contains several items. The type of item may differ. Integromat describes the different types of items below. 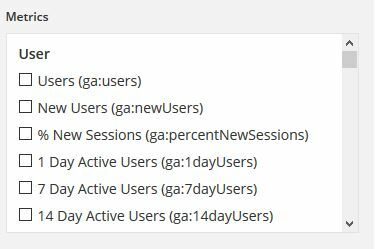 Tip: Detailed information on which types of items Integromat allows for conversion between one other can be found in the Type coercion section. The most common type is text. For some text items, Integromat checks whether the maximum or minimum allowed length is met or performs format validation (email, URL or file name). For some numerical items, Integromat may validate the input for a specified range (the minimum or maximum allowed value). This type is used for items with only two possible values: true or false. An example is the This document is private option shown when creating documents with the Basecamp modules. The compulsory check box is shown in case the field is mandatory and must be filled in. Optional fields that can be left blank are displayed as a selection box allowing selection among three values: Yes, No and Not defined(default). If you need to map an item from another module, click the Map button. This will allow you to map the value to a text field. The date is entered in the ISO 8601 date format, e.g. 2015-09-18T11:58Z. The time zone can be adjusted in the profile settings. 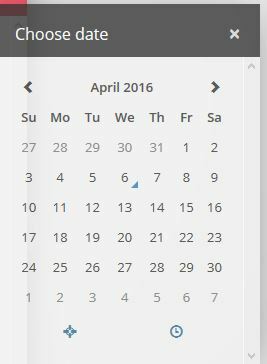 If you fill in a field that requires entering a date, the pop-up calendar will be displayed in the module settings. The time is not required for some items. The time is entered in the hours:minutes:seconds format, e.g. 14:03:52. File content is usually sent as Buffer type (image content, video file and others). In some cases, there is text data included in this type (e.g. text file). Integromat is able to automatically convert text data in binary code to text (and vice versa). For more information on working with files see the Working with files section. A collection is an item consisting of several subitems. An example of a collection is the Sender item in an email message. It contains the sender name (text type) and the sender email address (text type). When you configure the module settings, the select menu lets you select from several items of the same type. An example is the folder select menu in the settings of the Dropbox modules. If multiple selection is possible, several items with checkboxes will be displayed below. If only one option is possible, a drop-down menu will be shown. Clicking this menu will bring up a selection of available options. If you need to map an item from another module, use the Map button. Clicking this button will open a text field instead of the selection menu. The array type is used for working with several values of the same type, including collections. An example is the Email modules return an array of attachments and each attachment contains name, content, size, etc. For more information about arrays please see the Working with arrays section. Integromat may perform validation on each type of item. If an item does not pass the validation, the processing of the module will terminate because of the DataError. The Twitter modules, for example, do not allow a tweet (text type) that exceeds the maximum of 140 characters to be sent. If you try to send a tweet with more than 140 characters, your scenario will encounter this error and end.